The PC series proved immensely popular in travel retail and now we’re onto vintages: the 2007 Cognac Cask. Always complex, never boring, and a very tempting reason to book a holiday this year. Nose: Loving the dry, earthy Port Charlotte smoke here! Drifting through the peat we get aromas of mango pulp, dried apricot, peach, kiwi, mandarin and lime skin. Great savoury notes too – soft rubber soles, smoked cheese, roast potatoes, rosemary, and rock salt. I’ve been nosing for ten minutes and it’s still fascinating. Palate: Campfire smoke, candied orange, more mango pulp, plums, raspberry then a whoosh of sea salt and the drying, mineral-rich peat steps in with juicy sweet malt, vanilla, and milky coffee. Wowser. Finish: Ashy and savoury with salted cashews. Excellent stuff, this. Reminds me of a PC valinch bottling I picked up on Islay – full of distillery character with fruit, smoke and malt beautifully interwoven and a complete bargain for the RRP. I think Adam Hannett’s found a sweet spot here agewise for cask-strength Port Charlotte. 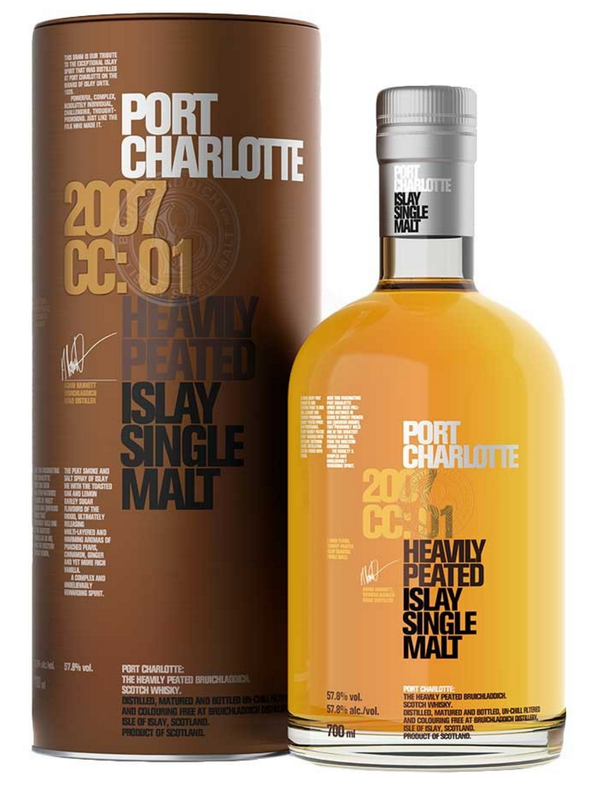 The Port Charlotte 2007 CC:01 is available from World Duty Free for £67.99.